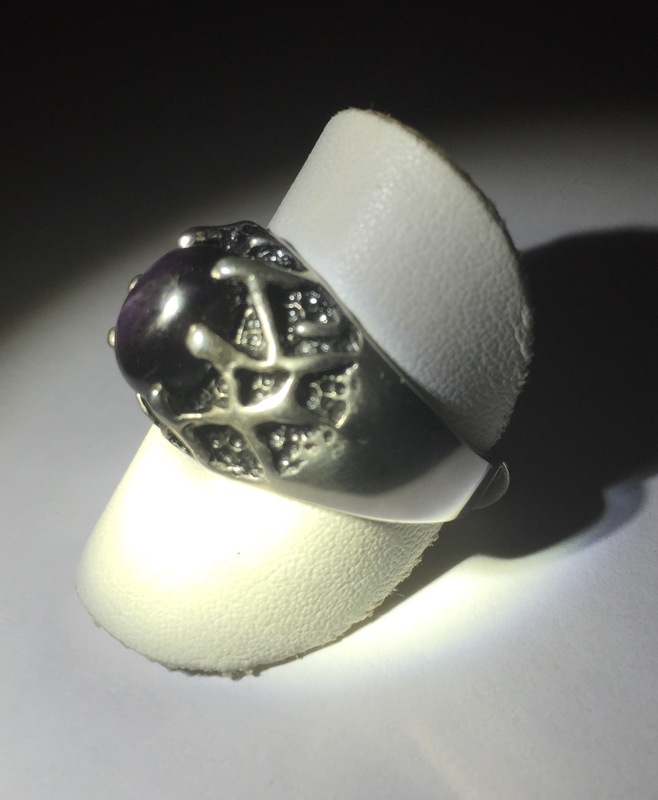 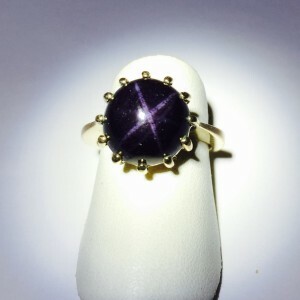 We like to call this ring the branch ring because the design looks like branches holding the Star Garnet in place. 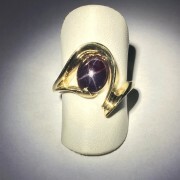 A very unique look. 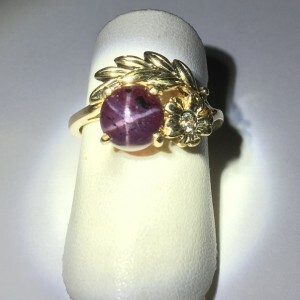 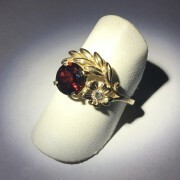 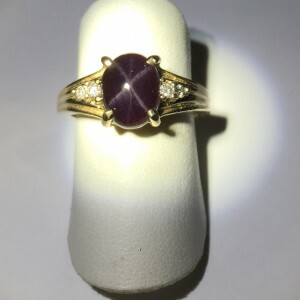 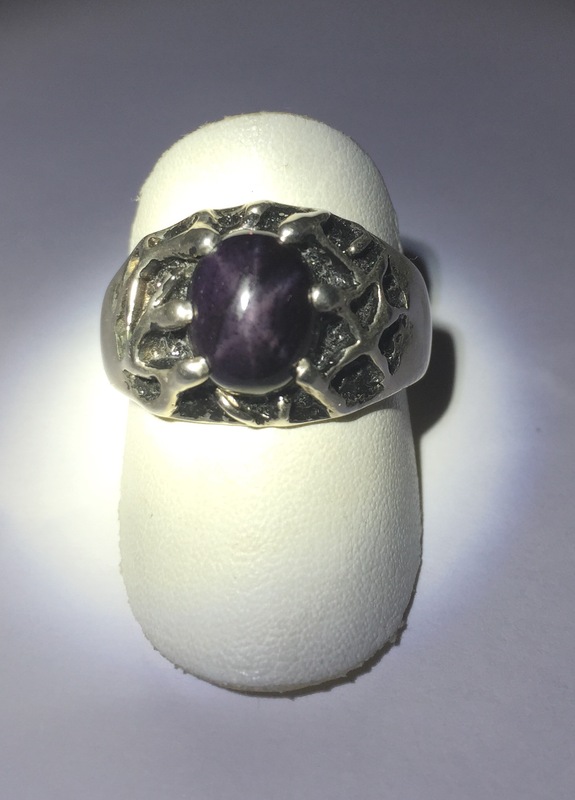 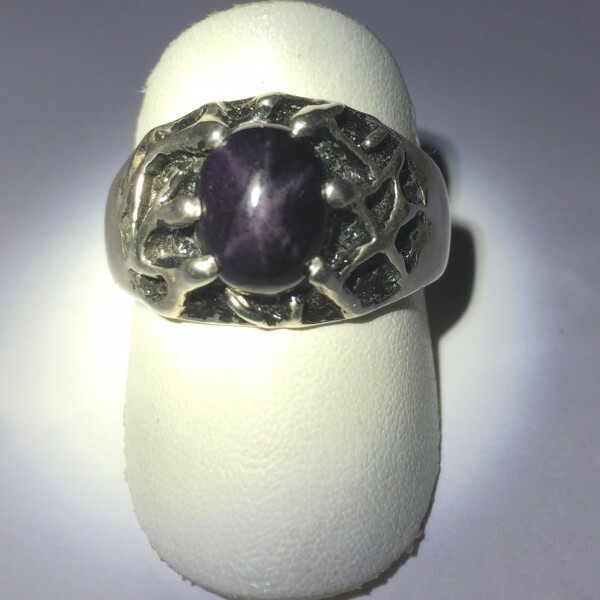 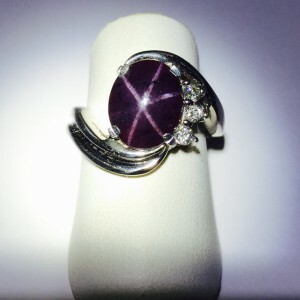 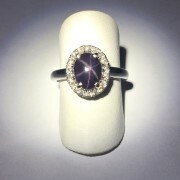 This Star Garnet ring has a 10×8 oval six ray stone. 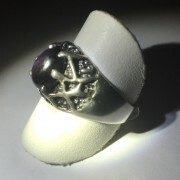 The mounting is sterling silver with antiquing which makes the branches stand out.